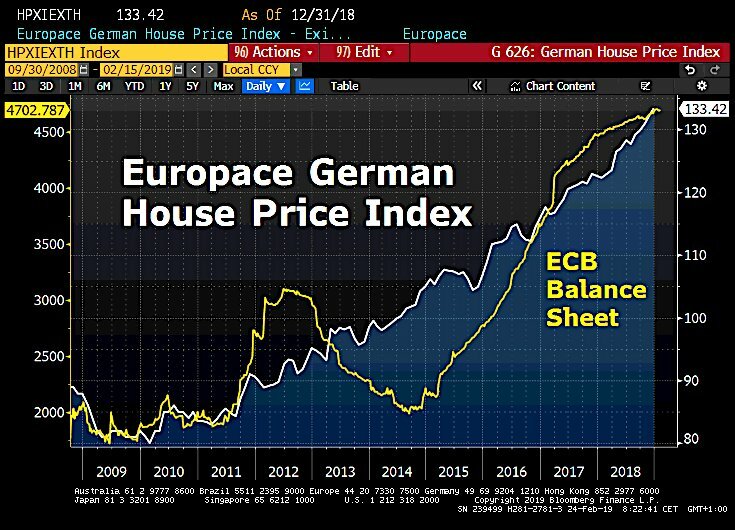 This is where the QE from ECB flowing into….GERMANY, where the housing boom has accelerated as Germans are buying real estate for fear of rising rents. Europace House Price Index has risen in tandem with the ECB Balance sheet. Gained 8.8% in 2018, the strongest increase ever in its history. 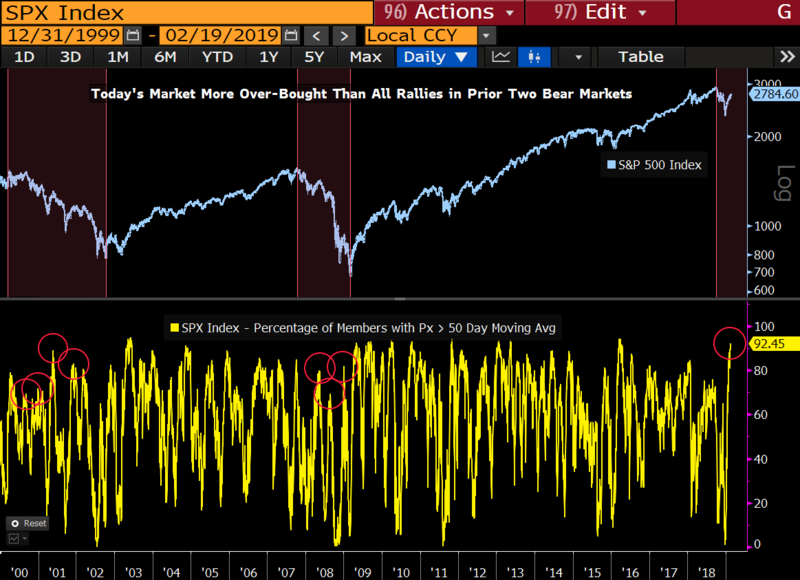 The S&P 500 is more over-bought today than after all rallies in the prior two bear markets based on the percent of stocks above the 50 DMA. 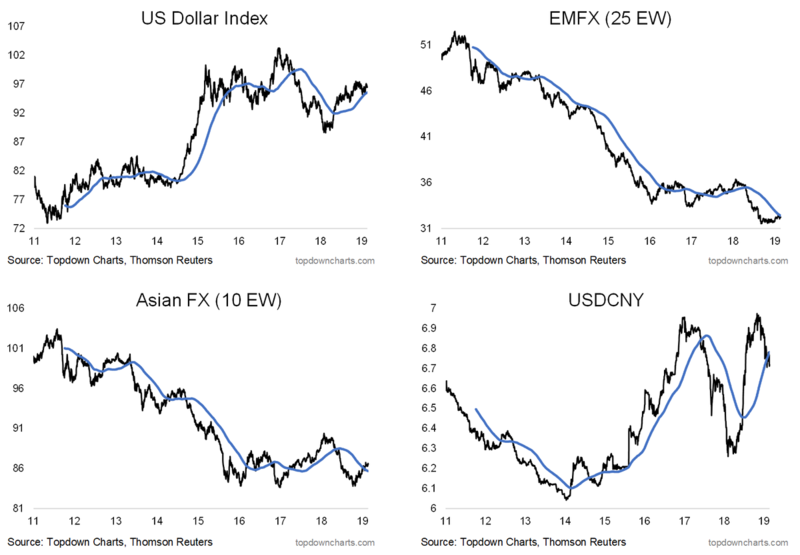 Great setup for selling if one believes this is only the beginning of a bear market. 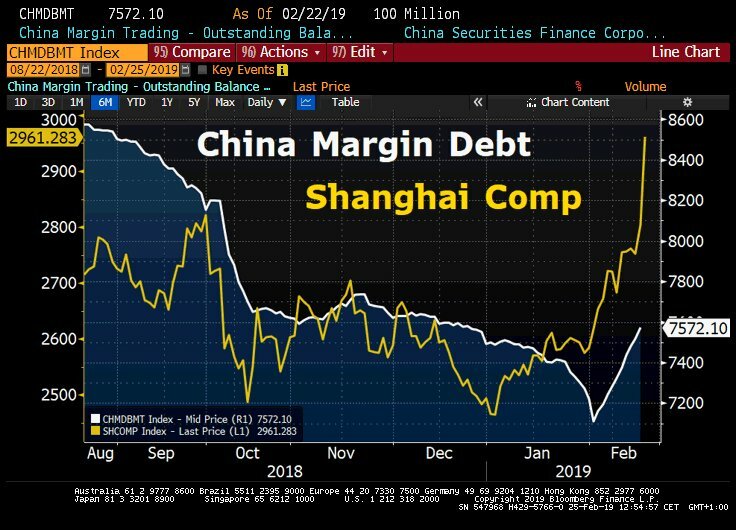 This chart highlights the reason behind the recent China rally: debt!